Feline lower urinary tract disease (FLUTD) is a term used to describe any condition affecting the urinary bladder or urethra of cats. The healthcare team is acutely aware that FLUTD is a common reason for hospital visits and veterinary evaluation of our feline patients. Regardless of underlying cause, FLUTD is characterized by the following signs: dysuria, pollakiuria, stranguria, hematuria, and/or periuria (urination in inappropriate places). Knowledge of specific causes of FLUTD has increased in the veterinary profession, allowing diagnostic and therapeutic efforts to be directed toward identification and elimination of specific underlying disorders. However, is your team aware that the most common cause of FLUTD in cats < 10 years of age is feline idiopathic cystitis (FIC)? FIC is followed by uroliths, and urethral plugs. A diagnosis of FIC is made by excluding all other causes of FLUTD. In older cats (> 10 years), urinary tract infection and/or uroliths are the most common cause of FLUTD. The goals of managing cats with FIC are to decrease severity of clinical signs and increase the interval between episodes of lower urinary tract disease. One way to decrease the severity of clinical signs is to decrease stress in the cat suffering with FIC. Two approaches to decrease stress in cats are through nutritional management and environmental enrichment. It has been found that feeding moist food (>60% moisture) has been associated with a decreased recurrence of clinical signs in cats with FIC. Over the course of 1 year, a study found that clinical signs recurred less often in cats with FIC when those cats were fed a moist food as compared with cats fed the dry formulation of the same food. Beneficial effects have been observed in cats with FIC when urine specific gravity values decrease from 1.050 to values between 1.032 and 1.041. Healthcare teams should be educating clients about additional and innovative methods for increasing water intake (e.g., adding broth to foods, placing ice cubes in the cat’s water, and providing water fountains) in their cats. Additionally, it was shown that consistently feeding a therapeutic urinary food was associated with a reduction in recurrent episodes of FIC signs. Thus foods of different nutritional profiles have been shown to impact the expression of acute episodes of FIC signs in cats. Equally as important when discussing nutrition in managing stress in FIC cats is the addition of L-tryptophan, a precursor of serotonin that inhibits neurotransmitters in the brain to balance mood. Hydrolyzed casein is a bioactive peptide that helps relieve anxiety in cats and again has been identified as a nutrient that will aid in managing the stress component of FIC. Inflammation plays a role in many causes of FLUTD, especially FIC and urolithiasis. Therefore, a key nutritional factor for managing cats with FLUTD includes omega-3 fatty acids, which are known to have potent anti-inflammatory effects. In addition, vitamin E and beta-carotene are helpful for counteracting oxidative stress and reducing free radical damage, conditions that often accompany inflammation. In addition to nutritional management, the currently recommended treatment for cats with FIC also includes environmental enrichment and stress reduction. This is vital in an FIC management plan and the veterinary team should be readily able to discuss environmental enrichment with the client. A prospective study evaluating effects of multimodal environmental modification was reported in 46 client-owned cats with FIC. Findings showed major reductions in lower urinary tract signs, fearfulness, and nervousness after treatment for 10 months. With cats that are suffering with FIC, stressful situations (e.g., conflict with other cats in the home) should be avoided or minimized. Owners should provide opportunities for play/resting (horizontal and vertical surfaces for scratching, hiding places, and climbing platforms). Any changes (e.g., switching to a new food) should be made slowly so the cat has sufficient time to adapt and avoid becoming stressed. Another critical component of managing cats with FLUTD, especially FIC, involves appropriate use and maintenance of litter boxes in the home. We may think this is intuitive in our pet parents, but it is not – and they must be educated! Most cats prefer clumping, unscented litter; however, it may be necessary to give cats several choices and let them select their preference. It may be possible to have cats within the home that prefer different types of litter or litter boxes. 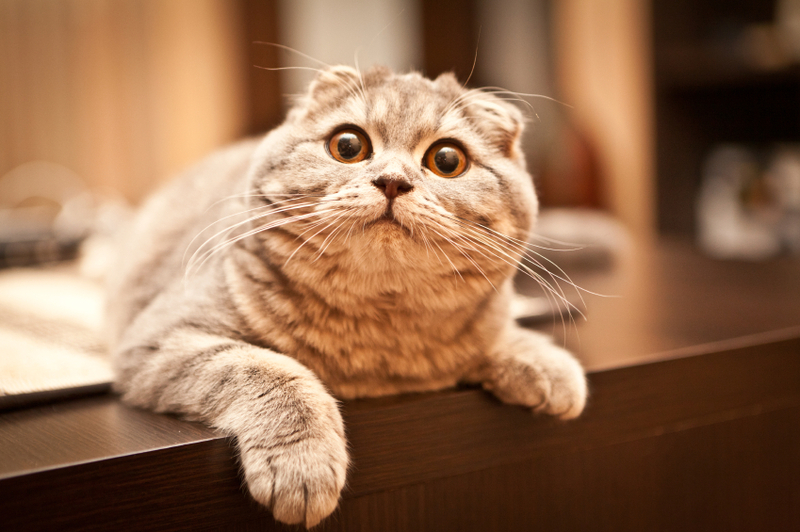 Overall, uncovered litter boxes are recommended because they are less likely to trap odors inside. For older cats with mobility issues, the healthcare team must discuss the importance of selecting a litter box with low sides to enable the cat to get in and out of the box. 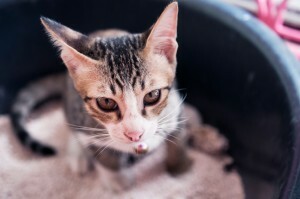 Litter boxes should be scooped daily and washed every few weeks with warm, soapy water. Remember, plastic can absorb odors over time (months to years); therefore, owners should consider replacing litter boxes with new ones periodically. Finally, there should be an adequate number of litter boxes (the 1 + 1 rule = 1 more than the number of cats) in the home and they should be located on multiple floors where cats can enter and exit readily. It is imperative that health care team members, especially technicians, educate cat owners about the importance of environmental enrichment and litter box management. The veterinary team should have a comprehensive understanding of FLUTD and the how the various treatments affect the different types of FLUTD. The technicians’ discussion of the treatment plan with the client is key to the client’s understanding and compliance with the veterinarian’s recommendation and ultimately the health of the pet.